Your generous gift will transform the lives of immigrants and refugees, uniting entire communities. You are giving newcomer families the strength to become self-sufficient, the opportunity to ensure a bright future for their children, and the tools to rebuild their lives. Thanks to you, the CNNC has served over 2,100 immigrants and refugees in 2017. Hundreds of immigrant and refugee youth are getting caught up and excelling in school with help of the tutoring centers at Glen Haven, Legacy Crossing, and Oakwood Forest. Over 750 newcomers now have health insurance and/or have connected with primary care clinics thanks to our Immigrant Health ACCESS Project. We have recruited 36 selfless individuals willing to serve immigrant and refugee serving agencies for a year as AmeriCorps ACCESS members. 40 Latino families are receiving intensive education and case management so that their children will be ready for kindergarten and thrive as students through our Thriving at Three program. We have helped reunite 40 families through our immigration program. Thousands of non-English speaking patients have connected with trained medical interpreters in healthcare settings thanks to our Interpreter ACCESS Project. We have recruited and trained over 650 dedicated volunteers this year to serve their community. This work would be not be possible without your support. Thank you. Your compassionate contribution will make a difference. Your gift to the CNNC goes directly to support our community-based programs, giving newcomers information, tools, and support to make North Carolina their new home. 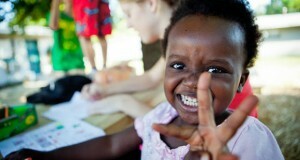 Make a tax-deductible gift today.